Vanessa is off to Japan this morning for a fashion shoot and before she left, we had to fill her with some good old cze char for a couple of days! 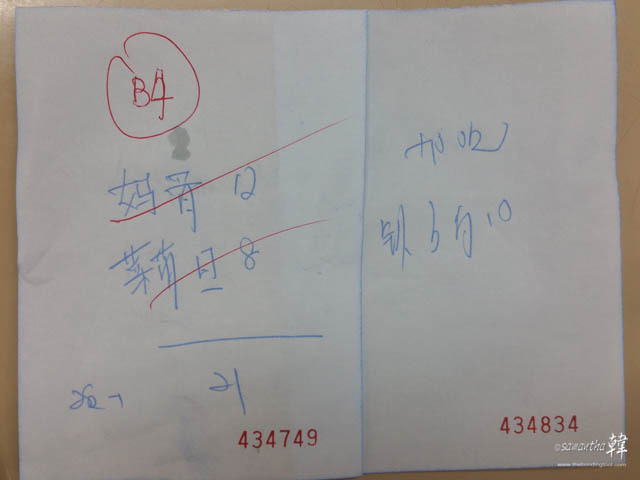 She googled and saw a post on zi char at 446 F&B 海鮮小廚. The blogger had convinced her we should give this stall a try. By the time we reached Pasir Ris Drive 6, the stall helpers were already doing closing but the lady was kind enough not to turn us away. We ordered two dishes but found our choices dry so after the Marmite Pork Ribs and Omelet came, we placed another order for Hotplate Tofu. 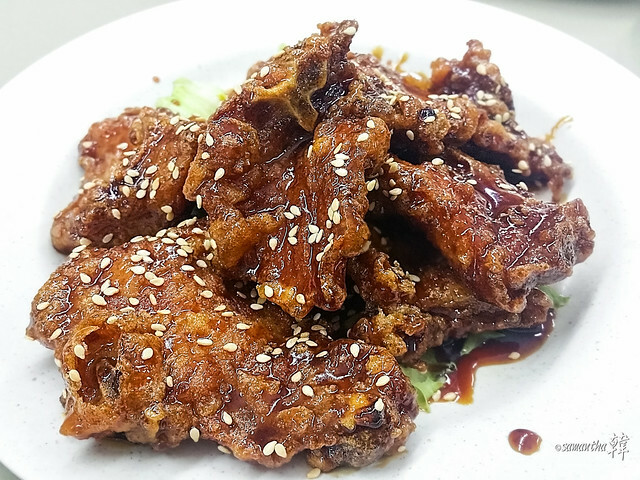 Marmite Pork Rib King – S$12. The coating sauce of the marmite pork ribs had an amount of sweetness which was dangerously leaning towards cloying on my palate. We both liked the crispy external texture and although the deep-fried meat was not tough, they were on the dry side and that caused some discomfort to Vanessa after chewing a couple pieces. 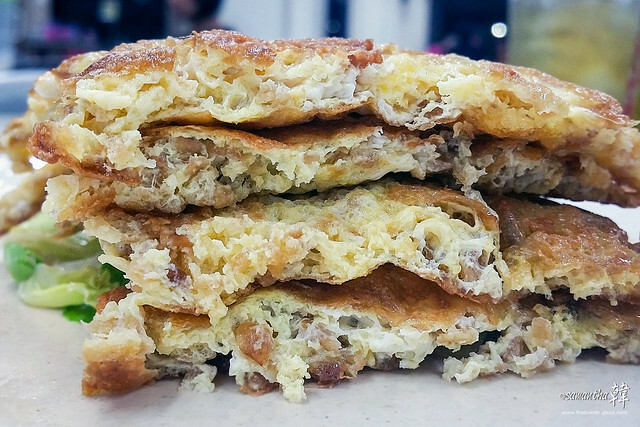 Chye Poh Omelet (with preserved radish) – S$8. 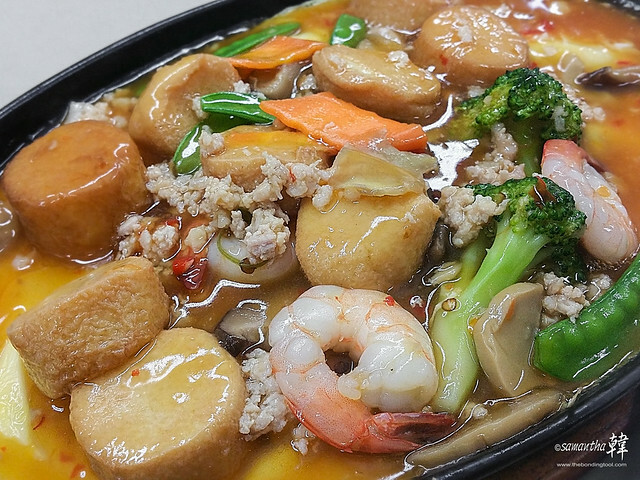 Had decent wok hei and the saltiness was just right but a tad oily which is expected of this dish any where you go. The hotplate tofu had some gravy so that provided moisture to our otherwise dry meal. That said, I prefer the egg to be less set – a personal preference. Now that I know how they prepare this dish, I will indicate that I want runnier egg on my future trips. To sum it up, the Cze Char @ 446 F&B 海鮮小廚 is generally above average in comparison to other cze char stalls I have tried in Pasir Ris town. While the food was enjoyable, it did not possess any phenomenal wow factor we had been expecting. We’ve been too hyped up by the review “Best in the *East”, so that could have dampened our excitement and also my opinion of the overall meal. Back track… Before, we placed our order, I saw a huge plate of fried rice (presumably for the staff) topped with crispy silver baits. I wonder if that was on their menu. I would like to go back again to try this fried rice and their other cze char dishes. Hopefully, our next meal there will be more tantalising!